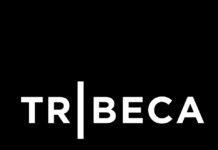 NEW YORK, Jan. 31, 2019 /PRNewswire/ — Paul Sarvadi, Insperity CEO, author, and HR outsourcing pioneer, today announced the release of his book Take Care of Your People: The Enlightened CEO’s Guide to Business Success(available now ). The book is published with ForbesBooks, the exclusive business book publishing imprint of Forbes. Today’s leaders—especially those running small and medium-sized businesses—are faced with no shortage of obstacles as they work to compete and grow. Often, the solutions they pursue end up treating the symptoms rather than the root cause of their struggles. 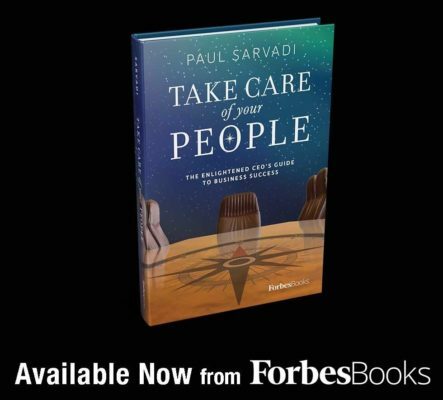 In his new book, Take Care of Your People: The Enlightened CEO’s Guide to Business Success, Paul Sarvadi, helps business owners overcome the various challenges they face by distilling them into one essential premise: When leaders take care of their people, success follows. With that in mind, Sarvadi offers his “ten strategies for getting your human capital strategy right” and explains how they allow leaders to stay focused on the big picture, get tighter control of expenses, minimize risk exposure, and maximize opportunities for revenue generation. While sales, finance, operations, and technology typically get most of the attention from startup founders and seasoned CEOs, Take Care of Your People insists that leaders should bump human capital to the top of their priority lists. Take Care of Your People: The Enlightened CEO’s Guide to Business Success is now available on Amazon. Paul Sarvadi is the chairman and CEO of Insperity. 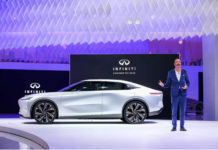 He attended Rice University and the University of Houston before following his entrepreneurial instincts and co-founding Insperity in 1986, a move that would play a major role in establishing a new industry—outsourcing the HR function. He has substantial business and operational experience, including extensive knowledge of sales and marketing, customer relationships and issues affecting small and medium-sized businesses. He led Insperity through a public offering on to the New York Stock Exchange in 1997 and has maintained his role as CEO for more than 20 years. Sarvadi was recognized as the Ernst & Young Entrepreneur of the Year in the service category in 2001 and was inducted into the Texas Business Hall of Fame in 2007. How to teach your kids about investing?